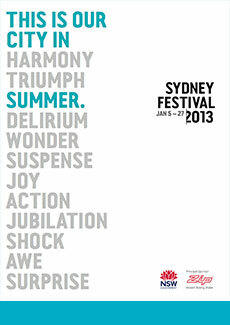 The 2014 Sydney Festival was awash with Australian premieres and sold out shows, with a mix of ticketed and free programming. This year’s Festival included a renewed focus on classical music and large-scale visual arts projects. Two hugely popular installations were Sacrilege, Jeremy Deller’s inflatable Stonehenge, and Merchants Store, Leandro Elrich’s gravity-defying interactive artwork. 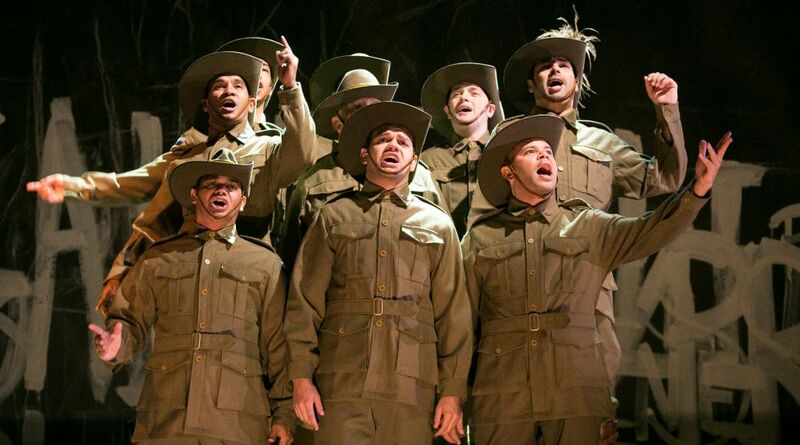 Highlights included everything from intimate musical discoveries in the Spiegeltent early music series to the unique suburban spiritual tour The Calling, the centrepiece Baroque dance opera Dido & Aeneas and the world premiere of Black Diggers (pictured above), a co-production with Queensland Theatre Company, directed by Wesley Enoch. In western Sydney, Parramatta hosted the world premiere of the international family show Band of Magicians and a sell-out music season at the Riverside Theatres. From a giant rubber duck in Darling Harbour to a Handel-Westwood opera feast, the 2013 Sydney Festival, the first from new Festival Director Lieven Bertels, had something for everyone. 2015 heralded the return of Sydney Festival favourites along with brand new productions. New Australian work featured strongly with the world premiere of Masquerade by Kate Mulvany, Kate Champion’s provocative final work with Force Majeure, Nothing to Lose, and composer David Chisolm and his collaborators with The Experiment.